Australian brewers have taken out the two most prestigious trophies at the world’s largest package beer competition. For the second year running, Sydney’s Redoak won the Supreme Champion beer award. Last year, it’s sublime Special Reserve barrel-aged barley wine took the top prize with the 2014 trophy going to its ChÃ¢teau Sour, a wild-fermented Flemish red. 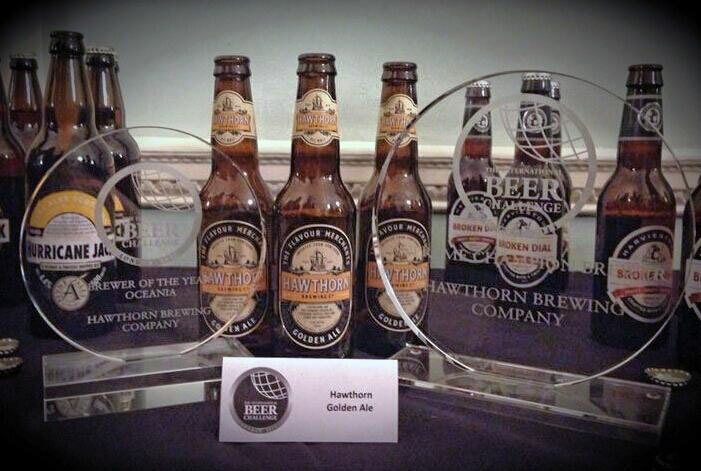 And, following up a trophy for its Australian IPA in 2013, this year saw Hawthorn Brewing Company named Supreme Champion Brewer after picking up a gold for its Golden Ale and three silvers for other beers. “We are absolutely rapt,” says Hawthorn co-founder Peter Willis. “It’s a real honour. We did well last year getting the trophy but went better this time. Hawthorn marked five years as a brewing company this year, with the past 12 months their most successful yet, both in terms of sales and competition success. 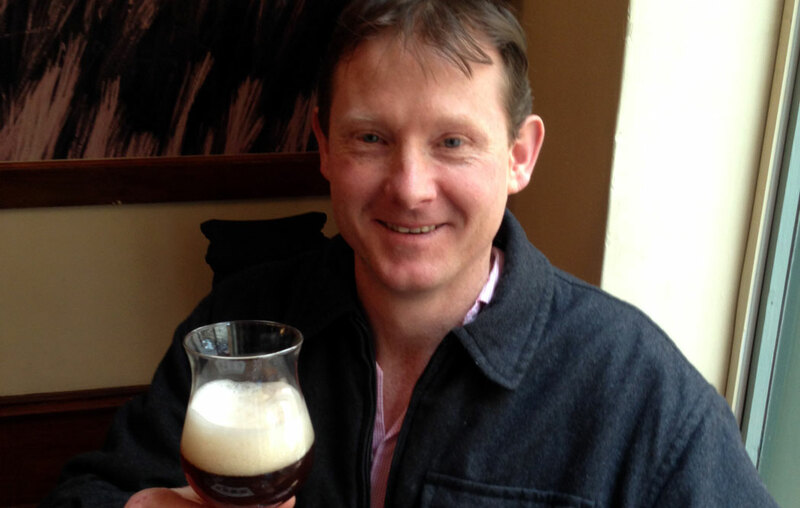 For the time being at least they continue to have brewer Hamish Reed’s recipes brewed under contract at BrewPack in Sydney, having previously utilised Mildura Brewery and Southern Bay, although Peter says the hunt for their own premises has been stepped up over the course of this year with the intention to find somewhere in â or at least close to â Hawthorn in time. He describes the Golden Ale, the latest addition to their core range – alongside Pale, Amber, Pilsner and Australian IPA – as “fruity and floral”, brewed with all Aussie hops Summer, Topaz, Galaxy and Pride of Ringwood. Redoak’s co-founder and head brewer David Hollyoak (pictured above enjoying one of his supreme champion beers) said he was “pretty stoked” to take out the champion beer trophy for the second year running. He was especially pleased that the ChÃ¢teau Sour had won the title as it is a beer that he has been playing around with for some years. “I’ve always felt it’s a pretty special style of beer,” he says. 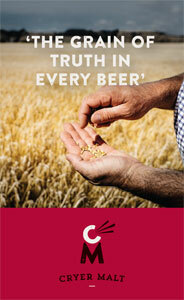 “The malts we use are ChÃ¢teau malts from the oldest family-owned maltings in Belgium [Castle Malting]. They have about 10 malts that are uniquely theirs and they give the beer these unique malt flavours. The trophy follows success for Redoak’s Icebreaker, an eisbock that took out the top prize at the Queensland Royal Beer Show and was brewed for Redoak’s 10 year anniversary this year. Both beers are currently only available at the Redoak Cafe in Sydney’s CBD but there are plans to have some ChÃ¢teau Sour ready for release in time for Christmas. “I think it’s exciting that Australia is getting recognition for sours because there’s quite a few getting into them now,” says David. “Red Duck is doing some, Bridge Road brew some farmhouse ales, Two Metre Tall are doing sour ales and a Kriek, which is fantastic. The International Beer Challenge is the largest packaged beer competition in the world. This year a team of 30 judges â made up of brewers, retailers, publicans, flavour analysts and journalists from across the globe â awarded just 30 gold medals to the 570 beers entered. Beers were divided into six categories â ales up to 5 percent ABV, ales above 5 percent abv, stout or porter, lager, wheat beer and speciality beer. After the medals were awarded, the most experienced judges met in London to taste all the gold medallists before awarding the trophies. You can view a full list of trophy winners and medallists here.